Sadly I have to report the death of George I Johnston (Sykemoor) who died on Tuesday 14th July. I had known George and his late wife Cynthia for many years. George was a gentleman, one of the old school, he had a great knowledge and understanding of the breed which he had owned along with his father since WW2. A lot of his learning came from their association with the Jardine family and the Waterbeck Dandies. One of George's most famous dogs was Ch Gladsmuir Gay Godess, whelped in 1952 bred by FL LT and Mrs Peter Townshend she won three CC's from 1954 to 1956. George's other great love was Basset Hounds though I will leave that part of his life to others more qualified than me to comment on. George was quite a figure in his hometown of Wigton, Cumbria where the family business was a shoe shop, the oldest family run shop in the town. The shop was first owned by George's father, then went on to George and Cynthia and on retirement passed on to their son, also called George. 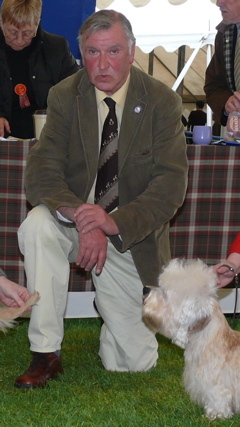 He awarded CC's in Dandies and many of the Hound breeds including the Group, one of his proudest moments was to judge the Hound Group at Crufts in 2004 when the Whippet Ch Cobyco Call The Tune won BIS. He judged the breed at SKC this year and was due to judge the DDTC Ch show in 2010, an appointment he considered a great honour and was looking forward to greatly. He was a honorary member of the DDTC. God bless George, it was a pleasure to have known you. Beverly Deacon. Hannes Lohi was born in Rovaniemi which is in the northern part of Finland. Today he lives in Vantaa and is married to Inka Lohi. They have 6 children (4 girls and 2 boys). He studied philosophy, Molecular Biology and chemistry, graduating from Oulu University in 1999, and finished his PhD (genetics) in 2002 at Helsinki University. From 2002 - 2003 he worked at Biomedicum in Helsinki and did the cancer genetics research. 2003 - 2006 he spent in Canada where he lead the team of scientists in the Hospital for Sick Children in Toronto. He was responsible for the research of one kind of epilepsy, called Lafora disease. That research lead to the to miniature wirehaired dachshund with a form of epilepsy = Lafora disease in humans. The results were published in Science magazine in January 2005. In Canada his job was to do neurogenetic research. In 2006 he started at Helsinki University as the docent of Molecular Biology. 2006 - 2008 he also started academic research at Helsinki University and Folkhalsan. Since 2008 he has worked as veterinary molecular biology professor at Helsinki University and Folkhalsan. Today he leads a research group of 20 people who are doing research on both dog and human genetics. Their main target is to do research on epilepsy and its genetic background and the European Union supports this research by 1 million euros. He has been awarded the Finnish Academy Award of bravery in the academic world because of his new idea of doing research on the dog genome to benefit the human genome research. His research group has got several awards for their work. Hannes Lohi has published about 30 research reports most of which have been published in the top scientific magazines. 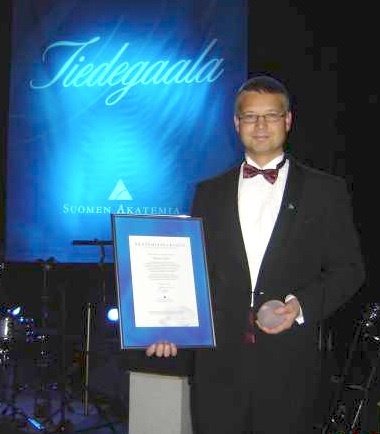 On 2007 he started a company called HT-diagnostics (www.canigen.com). The Dandie Dinmont Trust first heard of his work about two years ago. We could tell by his enthusiasm that the Dandie would score high in his research. Hence our first donation of six thousand euros last year and three thousand to go in the next week or so. We have encouraged and helped where necessary with individuals and groups to send donations and blood samples, the Finnish Club being marvelous in their efforts which continue today, and also, those efforts of many other people in different countries which has been heartening. Now he has found the gene responsible for glaucoma in our breed, but the work does not stop there, samples and funds are needed, there is much resequencing to be done to find the mutation. As Hannes says - "Thanks for your continuing support and interest! Samples are always welcome. As you know there is never too many... This is often the bottleneck in the studies". So we implore you to donate to the cause through your club, individually or through us. Our link for this is www.ddtrust.com/donations.htm Thank you........ 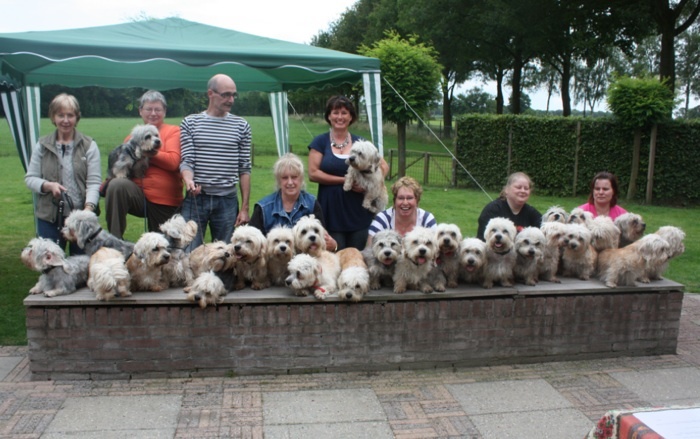 The Dandie Dinmont Trust.